There are 5 cat videos tagged with train. I setup some LGB track around the house to run some trains - check it out. Visit www.lgbworld.com for more!! 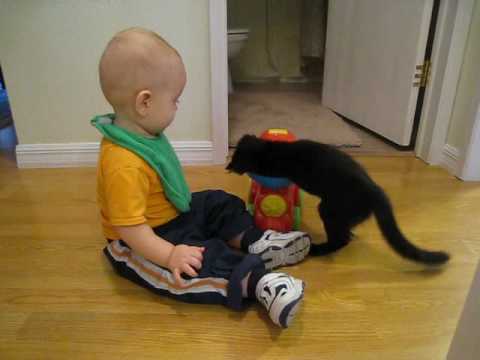 Human baby Gavin and cat baby Annie learn to play together. That may not be all that true though, because Annie seems to be hogging the train toy but Gavin seems content to just watch.